Professor Bhik Kotecha has been awarded the title of Honorary Clinical Professor in the Institute of Health Sciences Education with Barts & The London School of Medicine & Dentistry at Queen Mary University of London. 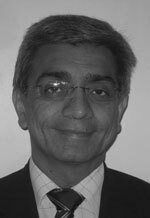 Professor Bhik Kotecha has been consulting at Nuffield Health Brentwood Hospital since 1995. He has been appointed as a Consultant Ear, Nose and Throat Surgeon at The Royal National Throat, Nose and Ear Hospital, London and at Queens Hospital, Romford. Professor Kotecha is also a Senior Lecturer at UCL. His paediatric ENT training was at Great Ormond Street Hospital and at The Royal Manchester Children’s Hospital. Professor Kotecha is an Examiner at The Royal College of Surgeons and the past President of the Sleep Medicine Section at The Royal Society of Medicine (2009-11). Professor Kotecha deals with all common adult and paediatric ENT problems but has a particular interest in managing patients presenting with symptoms of snoring and obstructive sleep apnoea. He provides a comprehensive management plan for these patients starting from evaluation with sleep study and including all range of conservative and surgical treatment options. He has published widely and has been instrumental in innovating various evaluation techniques to assess the upper airway as well as modifying various surgical techniques including laser assisted Palatoplasty and radiofrequency surgery to the soft palate and tongue. Professor Bhik Kotecha does not hold a share or financial interest in this hospital, another Nuffield Health hospital or the company. Professor Bhik Kotecha does not have a share or financial interest in equipment used at this hospital or another Nuffield Health hospital. Professor Bhik Kotecha does not hold any paid advisory role(s) at this hospital or on behalf of Nuffield Health.